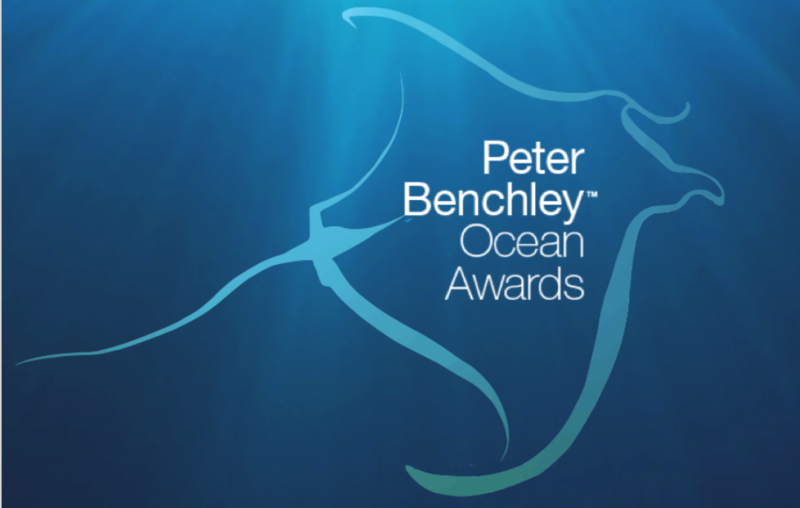 For a gathering of enthusiastic supporters of ocean conservation, you can’t do better than the Peter Benchley Ocean Awards. Referred to as the “Academy Awards for the Ocean” the event honors individuals from a variety of disciplines for their outstanding leadership in ocean conservation. Attending the ceremony this year in Monterey, California, was especially exciting for me, because Global Fishing Watch has ties to four of the eight recipients. 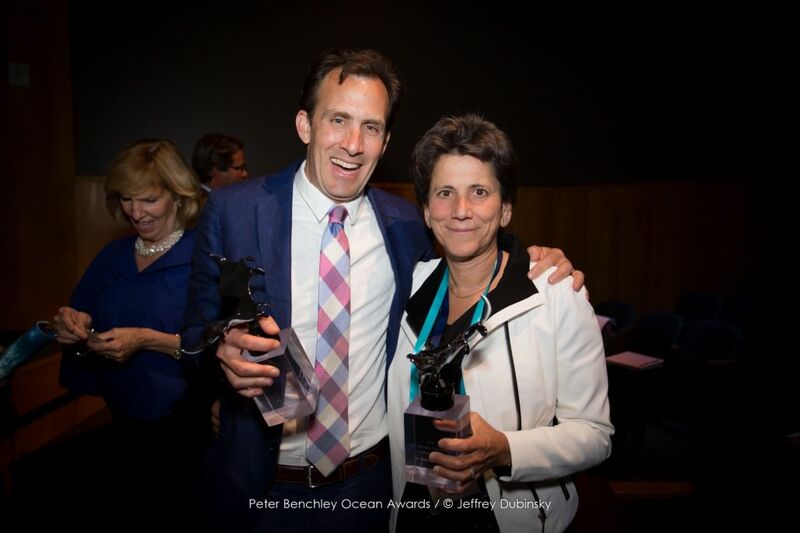 These partners and friends are making a difference, and it was rewarding to see them receive recognition for their exceptional work in ocean ecology, journalism and conservation. 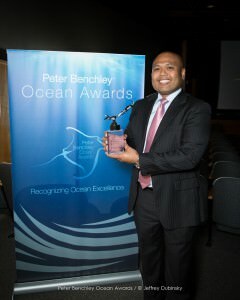 President Tommy Remengesau Jr. of the Republic of Palau, received his award for excellence in national stewardship. Thanks to him, an area of Palauan waters the size of California is now protected from fishing, drilling and mining. In January, 2015, we were able to assist President Remengesau’s efforts to combat Illegal, Unreported, and Unregulated (IUU) fishing by alerting his administration to an unregistered fishing vessel in Palau’s protected waters. Using satellite tracking technology, we helped guide his police patrol ship as they intercepted the vessel which was carrying shark fins and illegally caught tuna. President Tommy was not able to make the event, so his son accepted the award on his behalf. Another award recipient, investigative journalist Ian Urbina, chronicled those events in an article for the New York Times magazine. It was the sixth installment of a multi-part series called “The Outlaw Ocean.” His widely acclaimed work shed light on the lawless state of the world’s oceans and has sparked discussions of new regulatory and law-enforcement approaches at the national and international policy-making levels. Our research partners Dr. Chris Costello and Dr. Barbara Block were also among the awardees. Marine biologist and Stanford University professor Dr. Barbara Block was honored for her excellence in science. Her research has broadened the understanding of important marine animals such as tuna, billfish, sharks and turtles. She led the decade-long Tagging of Pacific Predators program which discovered that the ocean current off the western shores of North America is teeming with migratory ocean species. Dubbed the Serengeti of the Sea, this current supports a migration of sharks, large fish and whales in numbers suggestive of the plains of Africa. 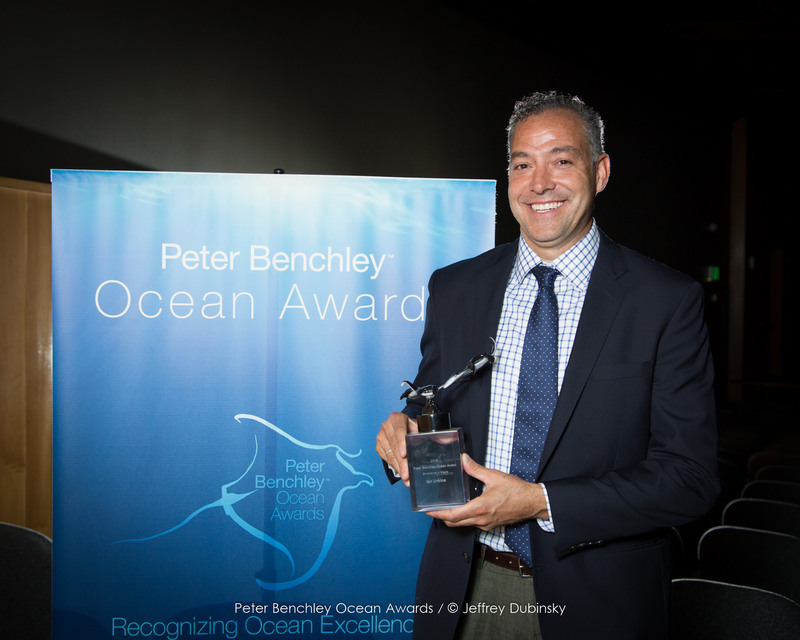 Environmental economist Dr. Chris Costello received a Benchley award for excellence in solutions. Combining economics and marine science his work integrates the needs of people and the environment, developing strategies for a healthy ocean, sustainable wild fisheries and robust coastal economies. A co-founder of the Sustainable Fisheries Group, Costello is helping to align marine reserves and sustainable local fishing in tropical coastal nations. 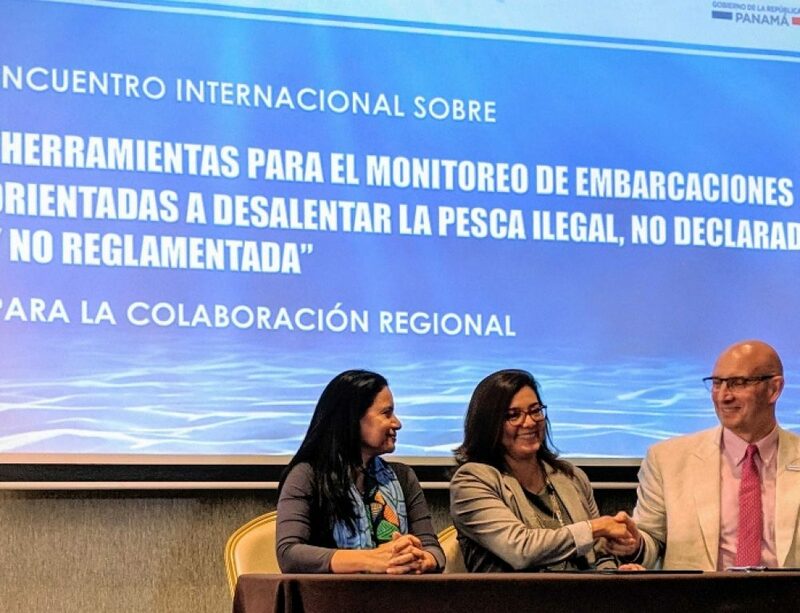 He also supports and promotes the “50 in 10,” initiative which aims to restore half of the world’s commercial fisheries to ecologically sustainable levels over the next decade. 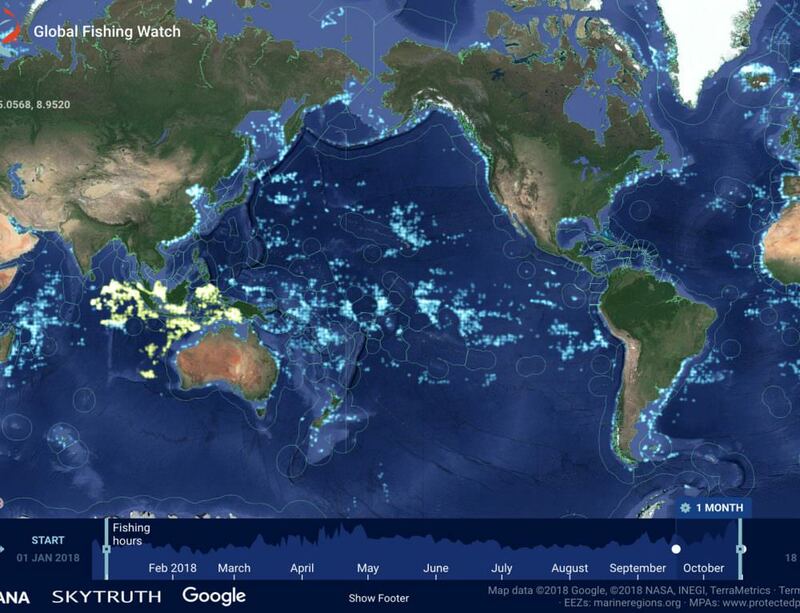 Speaking for everyone at Global Fishing Watch, I am thrilled to be working with such an accomplished group of ocean leaders, and I look forward to many exciting collaborations to come. We applaud all of the eight Peter Benchley Ocean Award recipients for contributing to the future health and sustainability of the world’s oceans. Congratulations, and thank you for working so hard to make a difference.